A casteist and ideological bias has ensured that Mahatma Gandhi's autobiography is a celebrated work while Ambedkar's memoir is hardly known. Babasaheb Bhimrao Ambedkar’s books and academic journals are celebrated works across the globe. But in India, which every year celebrates its first law minister’s birth anniversary on 14 April as Ambedkar Jayanti with much fanfare, there is overwhelming neglect. The best example of this is BR Ambedkar’s autobiography, “Waiting for a Visa”, which is part of the Columbia University’s curriculum. Few may have even read it in India. Ambedkar wrote ‘Waiting for a Visa’ in 1935-36, following his return from the US and Europe. 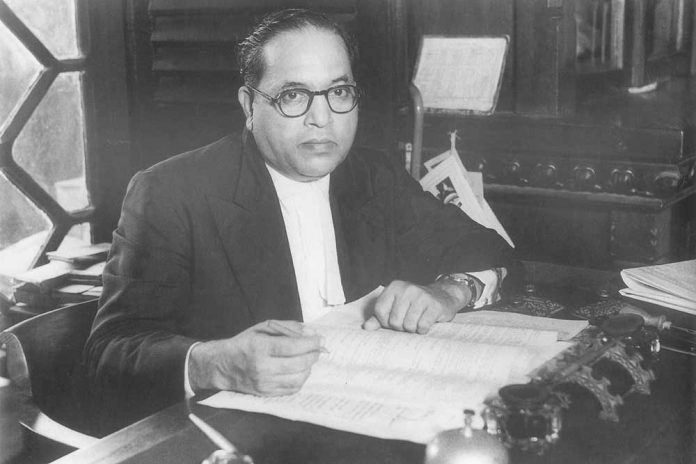 In the 20-page autobiographical memoir, published by Maharashtra’s Education Department in 1993 as part of a collection of Ambedkar’s writings and speeches, the Dalit icon wrote about his own personal experiences with untouchability basically for the “(f)oreigners (who) of course know of the existence of untouchability. But not being next door to it, so to say, they are unable to realise how oppressive it is in its actuality”. Columbia University, whose Prof Frances W. Pritchett edited the memoir, now teaches its students about the several humiliating incidents faced by Ambedkar from his childhood to 1934-35 because of his status as being a person from the untouchable class. This autobiography has six segments. In the first segment, Ambedkar describes his childhood journey to Koregaon, which he remembers as a “nightmare”. The incident from 1901 took place when Ambedkar was only nine years old. He was travelling from Satara to Koregaon with his brother and nephew to meet his father. Ambedkar vividly describes of the insult and ostracization they felt – from bullock-cartmen at the railway station refusing to give them ride to the family being refused water – because they were Dalit. The other’s experiences are covered in the memoir’s last two chapters: ‘A doctor refuses to give proper care, and a young woman dies’ (chapter 5); and ‘A young clerk is abused and threatened until he gives up his job’ (chapter 6). Ambedkar says that not all these insults and injustices were propagated by Hindus. The venom of caste-based discrimination has proliferated to Indian followers of other religions such as Islam, Christianity, and Persians too. The bigger question here is: why Ambedkar’s autobiography has been constantly neglected while almost every Indian is aware about Mahatma Gandhi’s autobiography? Gandhi’s ‘My Experiments with Truth’ is well known to every educated Indian. This autobiography was published in 1929. Why is it so that Mahatma Gandhi’s autobiography is termed as a great work while that of Ambedkar’s is relegated as a second-grade work? In my view, there are no obvious reasons other than casteist and ideological bias that prevails in our country. This is also responsible for the fact that a person who fought against the Britishers on the behalf of upper caste/class was bestowed with the title of “Father of the Nation”, while the person who fought for the real freedom of India’s common masses has been neglected and insulted since long. The writer is a PhD in Hindi and currently works as Hindi Editor of Forward Press. This article has been translated from Hindi. Read the original version here. Ek achha kaam PM V P Singh ne kiya – he bestowed the Bharat Ratna on Dr Ambedkar. He honoured and acknowledged the Dalit community, its centuries of deprivation and exploitation. From abdekar till now caste discrimination still exhists in india like non curable disease.may its not only day to discuss and discribe how worse it is in the past and we have to realize now also it exists ..its a cancer to our society (india).